Michael Snow (Toronto, 1928) is an esteemed and influential artist, whose works represent a turning point of creation in the West during the 1960’s, and they are an indispensabletemplateforcontemporary artstill today. 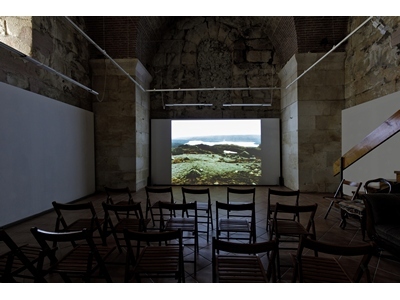 He used, and still uses, a wide range of means of expression: music, film, video, photography, sculpture, painting, literature and various installations. In all mediums, he researches the expressive capabilities of the sound and image, confronting the duality of vision and presentation. Snow's creative approach demands the viewer's participation, suggests to them to see the object, get acquainted with it, to actively engage in perceiving it. In his composition strategies, there is a wish to direct attention in diverse ways, and to make the process of creation visible. Motivated by his curiosity, he left Toronto and gave up jazz music to focus on his visual art practice during the ten years that he lived in New York (1962-1972).The film medium became important in Snow’s oeuvre as early as 1956 but significantly so after 1967, when he made Wavelength, which went on to win the Grand Prize at the Festival international du cinéma expérimental de Knokke-le-Zoute in Belgium. Wavelengthbecame the symbol of a cinemathatcontemplates its own expression. 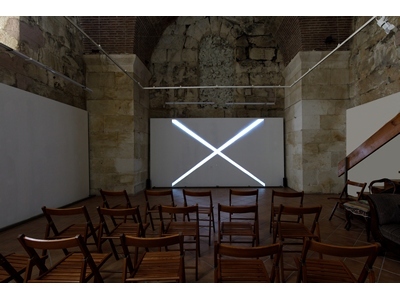 The presentation ofLa RégionCentrale at Galerijakula is the first time that Michael Snow's work has been shown in Croatia. 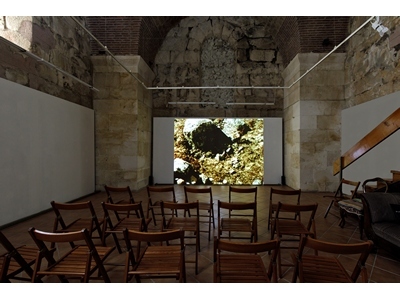 Over the three-hour duration of the film, the camera sees a vast landscape in spherical motions, remotely directed by the artist. Snow reminds us: “After all, the earth, moon, and sun don’t see the up and the down that we do”. The movements of the camera are round, elliptical, like an orbit, breaking the conventions and bringing the laws of gravity into question. That film is continuously moving through space with occasional interruptions as reference points, and the use of the camera-in-motion becomes the basic element of the film’s expression. 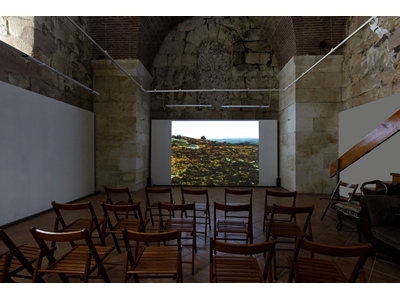 It questions the idea of presentation brought by modernism, proposing a double view, oriented on the role of the camera in the production of the work. Snow stands out by the reality dominated by instability and a complex interrelationship, in which the experience is gradually cornered by a passive response to virtual distortion. The reality in which the language is indivisibly intertwined with objects so that, in order that we could appreciate it, even our intellectual articulations are uncertain and changeable. For that reason, it understands that the creative interaction with it can be critical. This criticism affects our processes and habits of perception, as well as the visual and material framework of an everyday landscape. Before all, I wish to thank Michael Snowfor his generosity and participation in this presentation,Annette Michelson for the approval to publish her magnificent text, and Emina and Duje for their inexhaustible effort. Without all of them, it would not be possible to present the work of Michael Snowin Croatia for the first time.